Add a little romance to your Environs with the three candles by Marc Chagall. Marc Chagall once said and no.8220. Only love interests me, and I am only in contact with things that revolve around love. 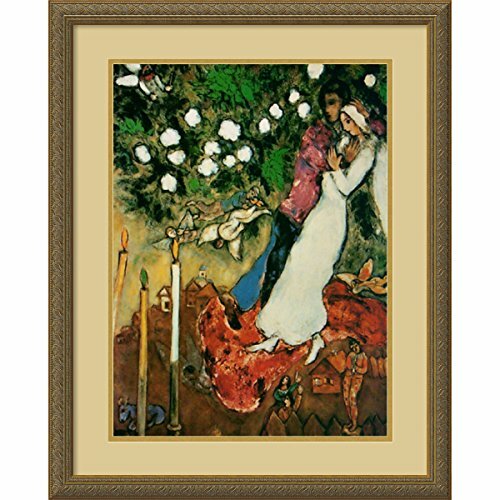 And no.8221; artist: Marc Chagall title: the three candles product type: framed art print frame: embossed antique gold 1 3/8 wood mat: tawny/old gold image dimensions: 15.25 in. W x 21.00 in. H outside frame dimensions: 22.38 in. W x 28.13 in. H.